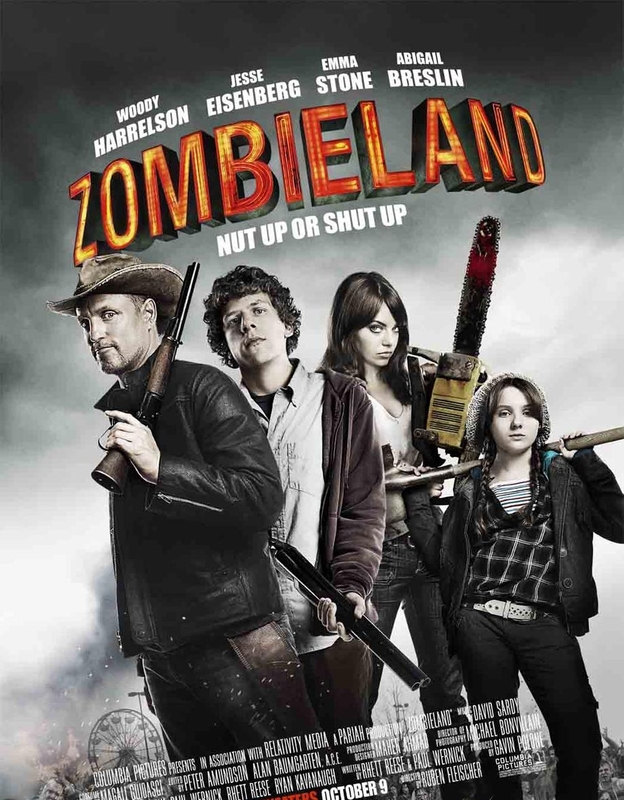 Mend both Max Brooks’ The Zombie Survival Guide and Shaun of the Dead and you get Zombieland. Only known by their hometown the characters played by Woody Harrelson, Abigail Breslin, Emma Stone and Jesse Eisenberg embark for paradise during the Zombie Apocalypse. There are some well timed jokes overall, however the call-backs seem to fall flat. A common joke in the film is repeating notes from a zombie guide. Over time, these notes barely keep the comic relief going and hesitant the flow of the film. However, Zombieland features one of the greatest comedic scenes in film with well-timed cameo and homage, one where I simply couldn’t control my laughter. Much like any teen slasher, you always end up screaming at the characters to turn around or not hide in the closet. Zombieland has similar moments when Wichita and Little Rock turn the electricity on at a amusement park. Well, duh. The plot twist is way too tired, even when trying to be humorous. Essentially, this scene lacks the energy and satisfaction to drive this film’s excellent premise home. By far, this is the least the film has to offer. With adequate momentum leading into the third act, a stronger final conflict would have been a much more satisfying ending. The overall performances by Harrelson and Breslin are superb, even for Breslin, excellent career move in my opinion. Dialog has excellent quips and had a natural rapport even during the aforementioned cameo.